Outsource Data Processing provides information processing services like Data Conversion and File Conversion services through offshore facilities in India. We can convert your files from one format to another. This can help in making your data accessible to different people, and organizations for different applications. Data generated for one application can be transferred and used for another application. This will allow you to use the same data for different applications. Files can be sent to us through internet upload/download, e-mail, on CD-ROM, tape, Iomega zip disk, or diskette. We shall return them to you in any of the desired media. If you are considering outsourcing, then we handle data virtually on any type of format. 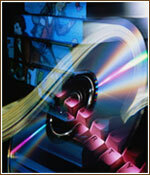 It can be converted or duplicated through file conversion, media conversion and tape conversion. Conversions can be performed from one type of media to another also including, tape to disk, disk to tape, tape to tape, and tape to CD etc. Data Conversion for databases, word processors, spreadsheets, and many other standard and custom made software packages as per requirement. We work with standard formats as well as unique or non-standard formats.